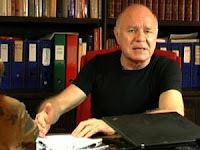 Marc Faber : To tell you the truth, I was expecting gold to be in a correcting mode after 2011, but I didn’t expect the price to come down this much because had I expected it to happen and had I been sure about it happening, I probably would have sold my gold and bought it back more recently. Equally, I have an asset allocation and I don’t feel comfortable holding cash with banks. I don’t feel comfortable with any paper currencies, so at all times, I want to have some of my money in metals. Whether it will go lower or not, that I don’t know. Actually, my physical gold, I don’t even value. I know that I have it, and whether it goes up or not, it doesn’t change the fact of my decision to own it or to sell it. My decision is to at all times hold gold.